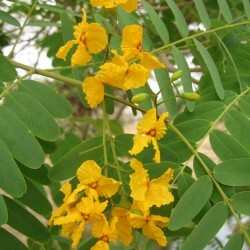 Yellow Jacarandas are semideciduous trees from Bolivia, where they reach a height of 35 metres. In cultivation, they often stagnate at 10 metres, forming a flat crown that widens to an umbrella-like shape with age to about 10 metres in width. 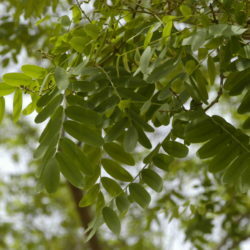 The foliage is pinnately compound and consists of numerous ovate, fresh-green leaflets. From late spring to early summer, clusters with golden, pea-shaped flowers are borne abundantly. They create a dense carpet when they drop, which should be borne in mind when the tree is used in parks or large gardens as an eye-catcher. They form winged pods. 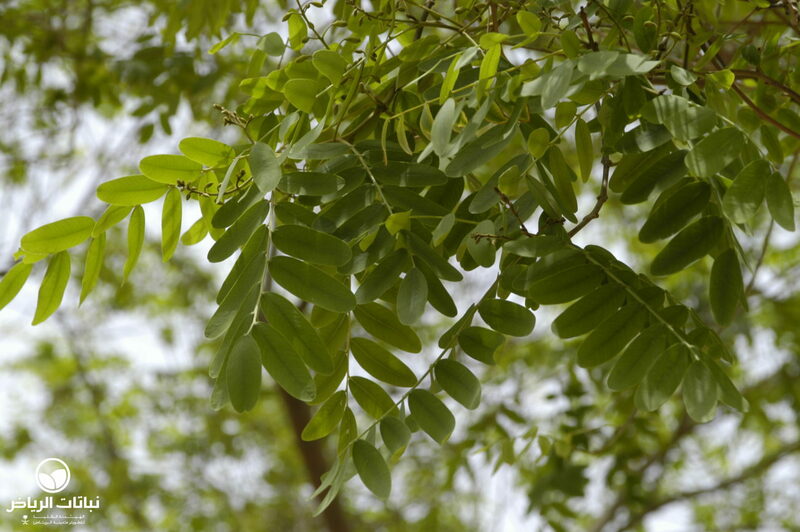 As a tropical native, this tree goes dormant according to circumstances rather than by season. 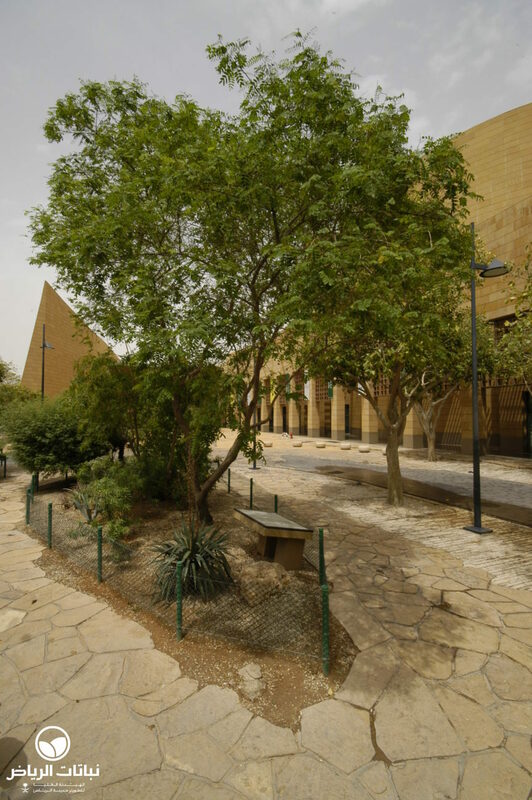 In Arriyadh, however, the leaves are shed for a brief period in late winter to regrow a few weeks later. 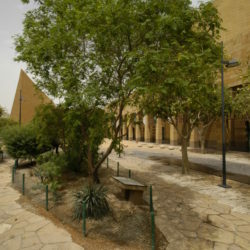 Prolonged drought may induce the same procedure in summer, which should be prevented by moderate watering in well-drained soil. 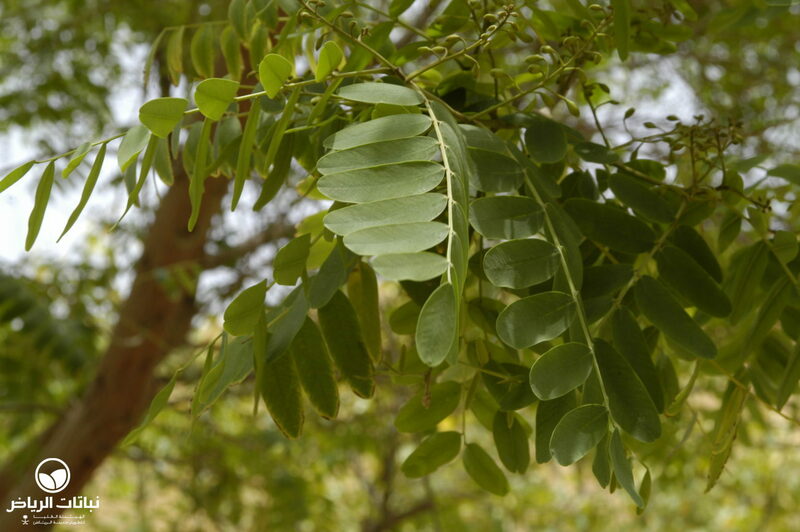 The tree may be exposed to full sun, takes salinity and tolerates light frosts. Alkaline soils should be improved by adding compost and applying acidic fertilisers. Young trees should be pruned and staked initially to form a straight trunk. 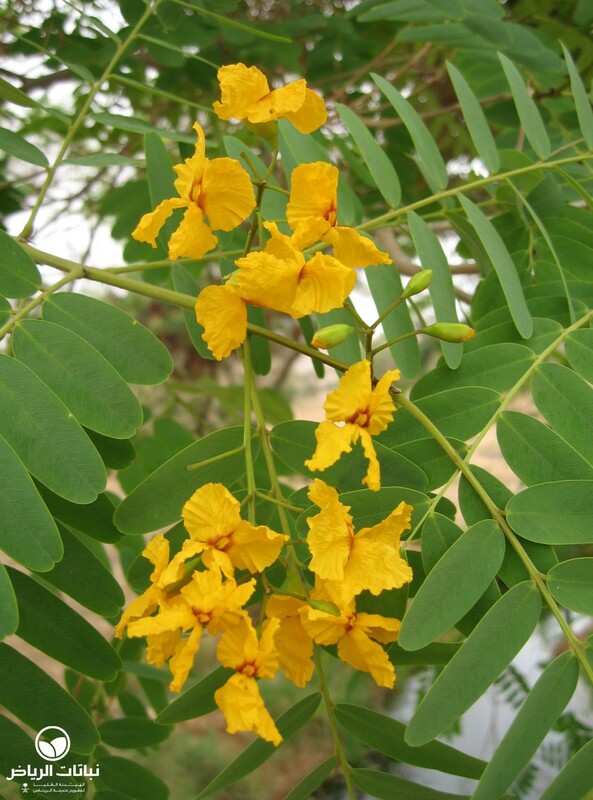 Yellow Jacarandas adapt to variable conditions and tend to escape from cultivation in semi-humid climates. They are easily propagated by seed, and require only a minimum of care once established. 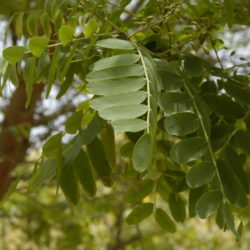 As shade trees, they are ideal where their dropped flowers and seed packets do not create a nuisance. Consideration should also be given to the aggressive roots, which may lift pavements or asphalt.